Listening to Public Radio today I was reminded of a story Slim told me and which is also published in Slim Spurling’s Universe, which is still available as e-book. He and Bill were called to a writer’s house. Apparently people were trying to kill the man with anthrax. Testing the anthrax level with radionics equipment resulted in a seventy percent reading. Slim of course had a remedy. 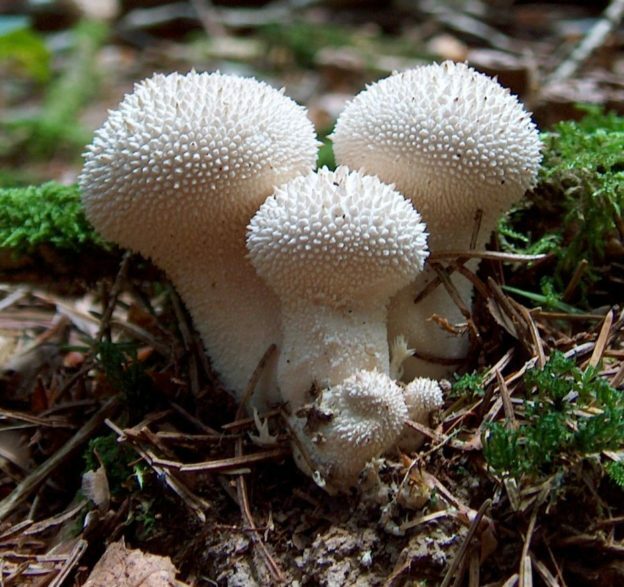 He knew that puffballs (a fungi) have antibacterial and antiviral properties. He tucked a puffball inside an Environmental Harmonizer and ran the Environmental Clearing tape (at that time CD’s were not available) through it right away. Within three hours the anthrax level as well as other harmful bacteria went down to zero and everything was fine. I remember years, later, when there were anthrax attacks coming through the mail, Slim put a little bit of puffball in his Personal Harmonizer when we were traveling. This entry was posted in Health, Light-Life Technology, Light-Life Tools, Light-Life(R) Tools, Slim Spurling and tagged Anthrax, Environmental Harmonzier, Fungi, Harmonizer, Health, Light-Life Technology, Light-Life Tools, Puffball, Slim Spurling, Testimonial, Wellness on June 28, 2016 by Katharina Spurling-Kaffl. This entry was posted in Light-Life(R) Tools and tagged Research, Research Associate, Testimonial on February 24, 2015 by Katharina Spurling-Kaffl. Please enter your email to receive valuable information about Slim Spurling's tools, research and applications as well as specials. I consent to receive the monthly newsletter from Light-Life Technology and it’s companies. I can freely withdraw my consent at any time. Visit your email preferences page here. I consent to receive information on new tool announcements, upcoming events, and community involvement from Light-Life Technology and it’s companies. This information can be sent separately from the monthly newsletter. I can freely withdraw my consent at any time. Visit your email preferences page here. In the bestselling book, "In the Mind of a Master", by Susan Anderson and Slim Spurling you will read the extraordinary life story of Slim Spurling, which ultimately led him to invent the Light-Life® Tools. You learn about their many applications; it also includes never-before-published research reports and testimonials. Our unique workshops give you the opportunity to learn and practice healthy ideals. ALL life, all energy is interconnected. Light-Life Technology brings Slim Spurling's tools to the public. For those who support endeavors to restore your own health, balance and well-being - and that of the people you care for. © Copyright 2015 Slim Spurling and IX-EL, Inc. All Rights Reserved.